The partypoker LIVE MILLIONS UK is in the books, with some massive prizes awarded in the tournaments. Angelou-Konstas won the Main Event for £940,000 ($1,224,228) while Steve O'Dwyer won back-to-back high rollers to take home a combined £764,000 ($996,304). But there was more than just tournaments to be played at the partypoker event, there was the partypoker Big Game; a £50/£100 cash game dubbed the Sam Trickett Invitational. The live streamed event saw several massive pots take place, and some of them were captured from the stream and put on YouTube. The most remarkable hand, starting at 14:38 in the video, starts right after Paul Newey laid down a flush on a paired board to a raise from Trickett who had top full house. The hand in question starts with Alex Goulding straddling to £200 under the gun and Dan Shak raising to £600 from the button. Small blind Berridge called with and big blind Loeser called with . Goulding over called for £400 more with to create a £2,400 pot. The flop came , making both Shak and Loeser hit sets. Action checked to Shak who bet £2,500. Berridge folded, Loeser called, Goulder folded. With now £7,400 in the middle, the hit the turn. Loeser, who has $7,978,557 in live cashes and plays big online as "swordfish007," check-called another overbet as Shak slid forward £8,000. The completed the board and Loeser, with £71,000 behind, checked a third time. Shak shoved for £41,400 into £23,400 and Loeser, stating "I had a really bad feeling," asked for a count. Upon finding out how much it was, he eventually released his cards into the muck, folding his full house. The two eventually agreed to show their cards, with Shak exclaiming disbelief how Loeser folded his sixes there. The big pot went to Shak while Loeser held onto the majority of his profits in the game by laying down his massive hand. The cash game was live reported and streamed on the mypartypokerlive.com portal (sign-up required). More videos from the event can be found on partypoker's Twitch channel. PokerNews Live Reporting from the event can be found on our live reporting portal. 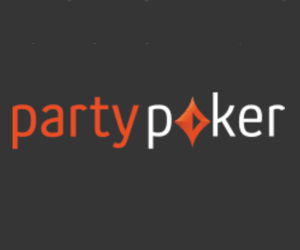 Looking to make your partypoker LIVE debut? Sign up now, and you'll get $22 worth of Satellite Tickets with your first deposit of £/$/€10 . On top of that, you'll get up to 40% of paid rake back every week!